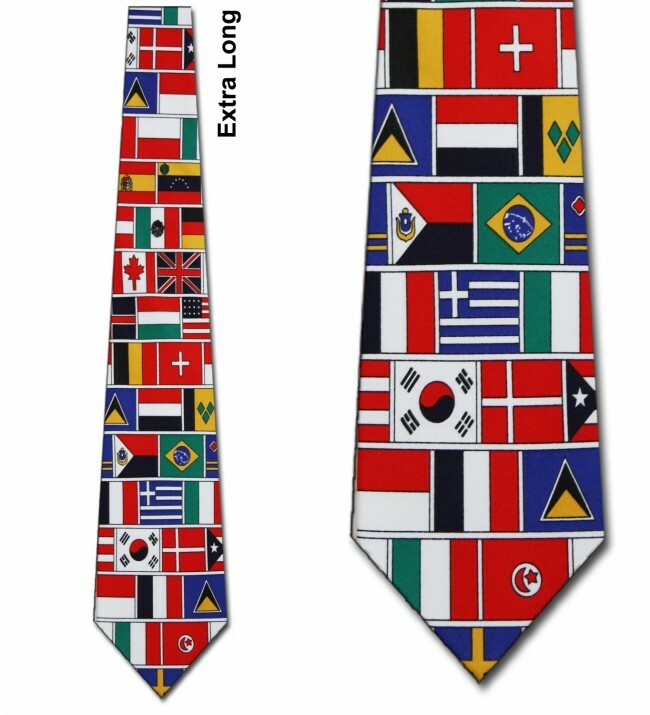 Take a trip around the world without ever leaving your desk with this World Flags Allover necktie.This World Flags neck tie features an allover print of various country flags in bright and vibrant colors. 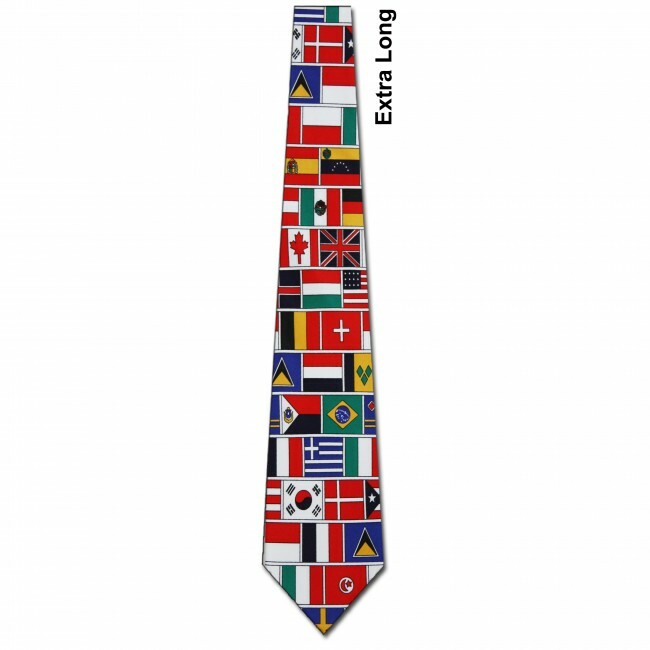 This tie is sure to be a conversation starter and a great way to show your love for international travel. 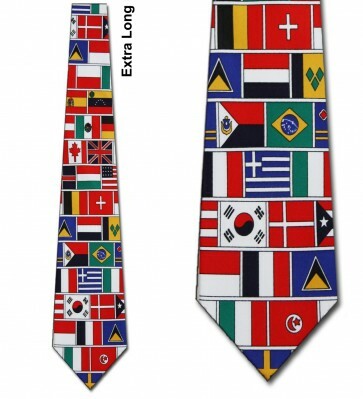 This tie is extra long adult size and should fit most guys that are taller, wider or have a larger build. 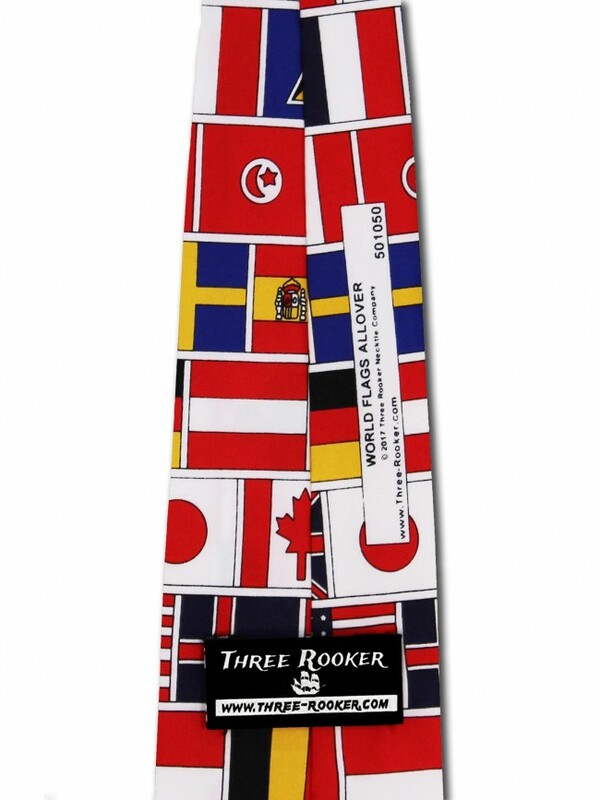 That said, if you're extremely tall or a hulk of a guy and are not sure if this tie will properly fit you, please give us a call. 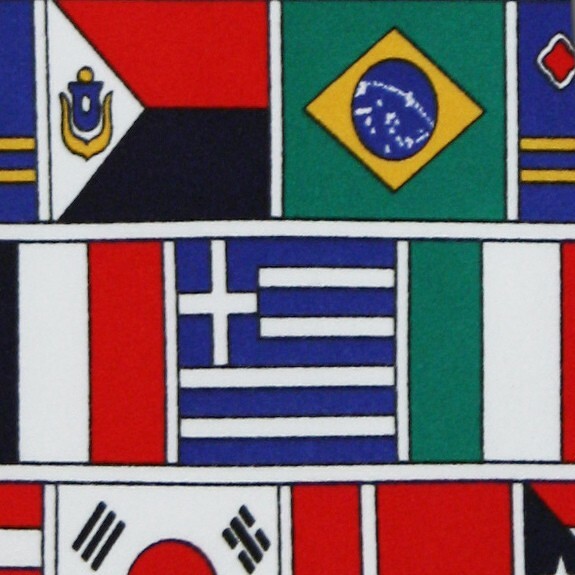 We'd be more than happy to assist.